Acronis Nonstop Backup automatically pauses and cannot be restarted. This is designed behavior of Acronis Nonstop Backup. When the system loads to a critical level, Acronis Nonstop Backup receives the overload alarm from Windows and pauses itself. This is done to aid Windows relieve the load caused by other applications. 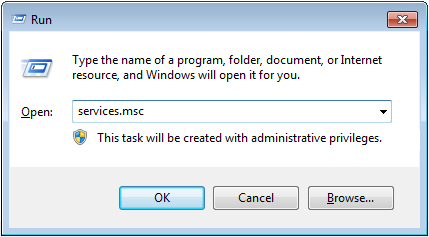 The system overload can be caused by running resource demanding applications (e.g. performing a deep system scan with your Antivirus software). It is most unlikely that you will experience inadvertent Acronis Nonstop Backup pauses when running file or folder protection. The chances understandably increase if you choose to protect entire partition(s). 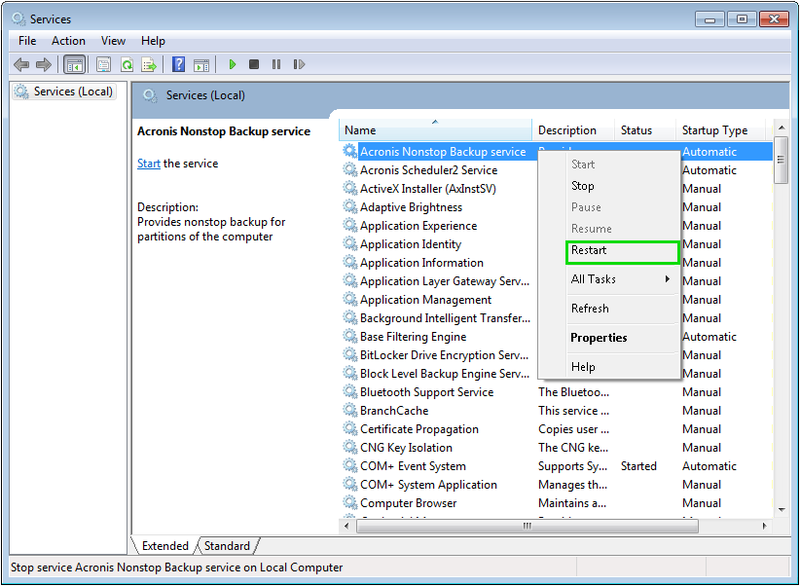 After pausing automatically, Acronis Nonstop Backup gives the system one hour to relieve the load and then reattempts the restart. 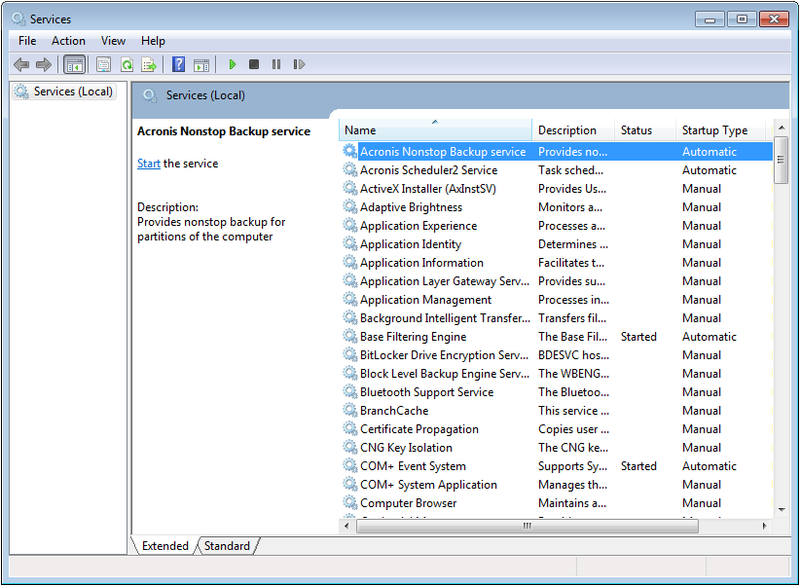 The automatic restart count for Acronis Nonstop Backup is 6. This means that after the first automatic pause Acronis Nonstop Backup will reattempt the restart five more times with an exactly one hour stretch between the attempts. After the sixth unsuccessful attempt, Acronis Nonstop Backup will wait for the next calendar day. On the next day the automatic restart count will start from 1. This means that, when not interfered, Acronis Nonstop Backup performs six restart attempts per one day. Restarting Acronis Nonstop Backup service will only reset the restart count to 0. If the system is still overloaded, Acronis Nonstop Backup will pause again. Rebooting the machine will reset the load and the restart count. If the system overloads again. Acronis Nonstop Backup will pause. See also Acronis Nonstop Backup: FAQ. If Acronis Nonstop Backup pauses when system is not loaded, the issue is not covered in this article and needs investigation. Please contact Acronis Customer Central with a reference to this article.